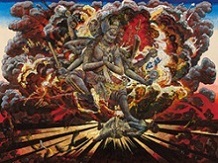 Establishing a unique style with colorful and highly energetic fresco works, Koji Kinutani stands at the forefront of the Japanese art world. 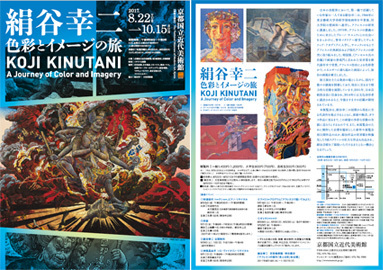 Since receiving the Yasui Prize, an honor widely viewed as the gateway to success, at the age of 31, Kinutani has vigorously engaged in various activities while primarily showing his work in the Dokuritsu Art Association exhibition. Along with important and never-before-shown works spanning the artist’s career, this exhibition presents the entire scope of Kinutani’s manifold practice with three-dimensional works, ceramics, glass works, and a three-screen video installation that brings the artist’s worldview to life. * Collection gallery is available with this ticket.